The Petrie Museum "Alien Artifacts" Is A Hoax! Has Curiosity Found Fossilized Life on Mars? Are there UFOs above Parliament House? Footage showing a strange object streaking across the sky beneath a jet plane has emerged, prompting questions about what the other aircraft could be. Filmed a few years ago but released this week, the video - which was uploaded to YouTube - shows the view outside the left side of a carrier aircraft with the wing in sight. Posted by Finding UFO, a group whose aim is to spot unidentified flying objects across Australia, the footage shows a small white disc zooming across the sky in the blink of an eye through the airspace above Canberra. Entering from the left hand side of the screen the object appears to be travelling at great speed as it streaks past along the clouds. 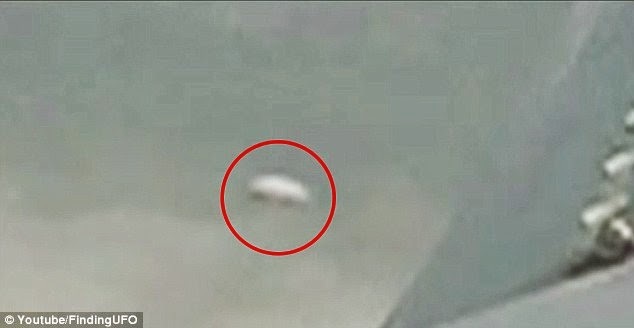 It then seems to transit beneath the plane and out of sight 'An unidentified flying object was caught on camera from an airplane near Canberra, Australia on April 04, 2012,' the video's description reads. 'It was filmed by a passenger. 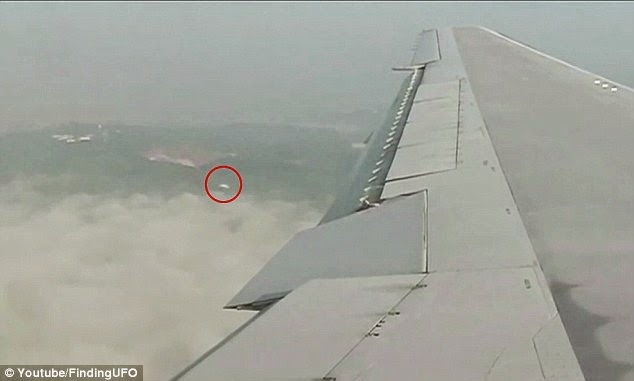 It is unclear why the passenger on the plane was filming out the aircraft's window, but commenters on the video have backed the legitimacy of the footage. Finding UFO have uploaded many similar videos over the past few years, purporting to show UFOs in various destinations around the world including Melbourne, Hong Kong, Hamburg, Brazil, and Chile. Russian Scientists Discover 250 Million Year Old Microchip? Evidence Of Alien Life: International Space Agency Allegedly Attempts Stealing Meteor Fragments Of Aliens? Blogger + Buttermaker. XHTML Valid. Grab the RSS feed.